Merchant’s Quay Drug Service helps drug addicts turn their lives around. By Leah King | April 29, 2013. Drug abuse is a major problem in Dublin, however there are many services across the city to help drug addicts. One service in particular is Merchants Quay Ireland, a drugs and homeless service, which strives to help the community. Merchant’s Quay offers help for drug users through a range of services, including day programmes such as counselling, skills training, methadone support, and needle exchange. They also have programmes to assist drug users into mainstream society, by helping them to find accommodation and providing aftercare programmes. There are also residential detox services in High Park in Drumcondra and St Francis’ Farm in Tullow. According to a Merchants Quay relief worker, who asked not to be named, it is difficult to work with drug users, not because of the users themselves, but because of the lack of services available. There are over 14,000 heroin users in Ireland, and according to a report by European Monitoring Centre for Drugs and Drug Addiction (EMCDDA), Ireland has one of the highest rates of cocaine use in Europe. Mark Lane, a former addict from Cork, began the High Park residential programme two years ago, after completing a Peter McVerry detox programme. “I thought I could just do the detox and go home, but when I got to Merchants Quay I realised it was much more than that,” he says. Mark said that the day programmes helped him to be able to deal with, and express his emotions. “Before Merchants Quay, I didn’t know what a feeling was, I couldn’t tell anger from jealousy, but they help you identify them,” he says, “If you don’t talk about what’s going on in your life, the chances are that you will go back on drugs, and they are there to stop that from happening”. Mark believes the help he got in Merchants Quay has turned his life around. “When I was on drugs, I put my mother through hell and I didn’t even acknowledge my son,” he said . “All I was interested in was drugs,” added the former addict. “Since coming to Merchants Quay, my relationship with my mother is completely different,” says Mark, “I also have a much better relationship with my son now”. 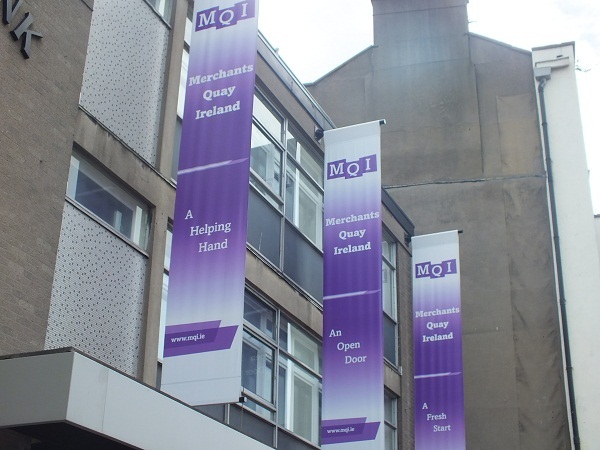 Through the services it offers, Merchants Quay has helped change so many people’s lives. One man we spoke to completed a 12 month residential drug treatment programme with them in St Francis’ Farm, after presenting himself to Merchants Quay as a chronic heroin user and alcoholic. He had a severe physical disability at the time, which he developed as a result of drug use. He then went on to complete a level 5 Fetac in social care, and went back to St Francis’ Farm to work as a relief worker. Today he currently works for a National University and is studying to obtain a doctorate (PhD). “Without the time I spent with Merchants Quay, I am not really sure how life would have turned out, they helped during a period when things had become very dark, they supplied the time and energy that was needed to assist me to rebuild my own life and for that I will always be grateful”, he says.